This year's group is now full. Please check back in July or August 2018 for details of the 2019/2020 group. 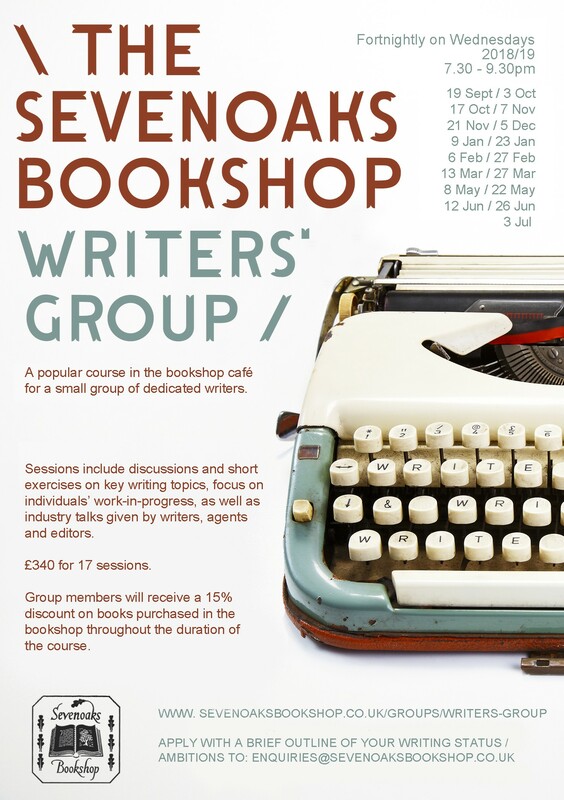 Sessions include discussion and short exercises on key writing topics, focus on individuals work in progress, and industry talks given by writers, agents and editors. Group members receive a 15% discount on books purchased in the Bookshop throughout the duration of the course. The programme of dates for 2018/2019 is shown below. 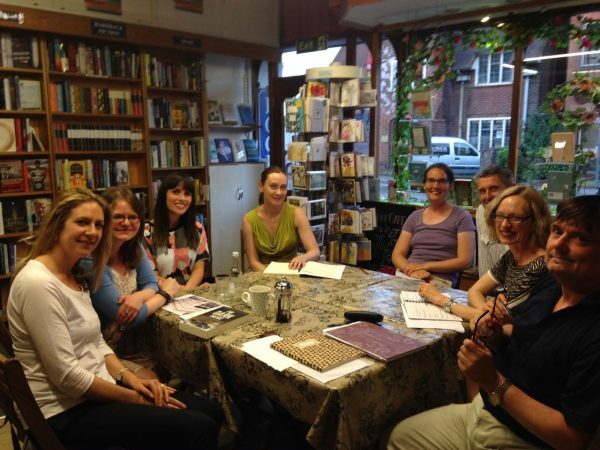 "Being a part of the Sevenoaks Bookshop Writers’ Group has been an incredibly important part of my journey towards becoming a writer. The group is small and friendly and has so many positives but if I had to pick the top three ways in which it has benefitted me personally, I would say that firstly it gave me ‘permission’ to call myself a writer. It also provided much needed momentum to keep me on track, regularly creating and sharing pieces with the group, and thirdly it opened my eyes to the many different routes towards and aspects of actually being published with a wide range of topics up for discussion, and a series of very credible guest speakers. I’ve thoroughly enjoyed my two years with this group and would recommend it to anyone who wants to write."